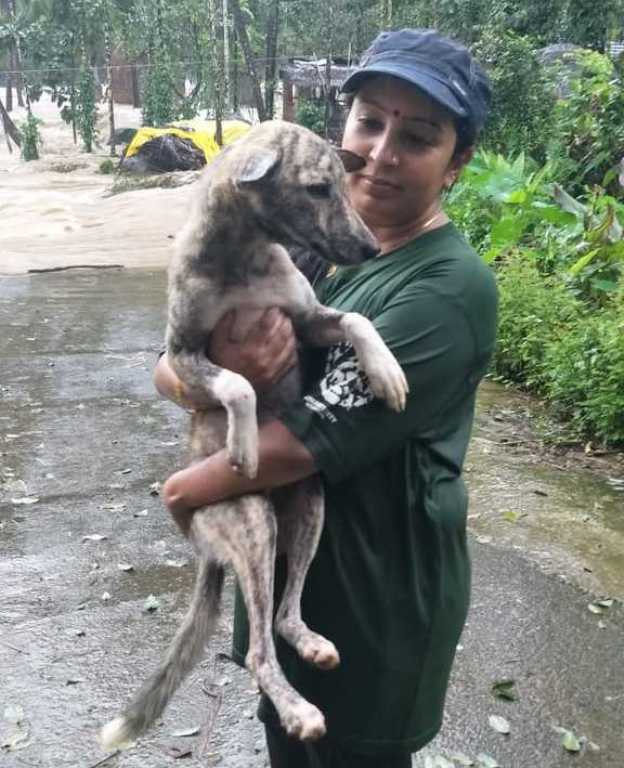 With floods ravaging Kerala and Coorg in Karnataka, animal rescuers are being inundated with distress calls from desperate people who were forced to evacuate their homes without their pets. The Hyderabad-based Humane Society International/India has set up an emergency helpline to coordinate animal rescue throughout Kerala. It is collaborating with Compassion Unlimited Plus Action, based in Bangalore, for rescue efforts in Karnataka’s hill district of Coorg. Many rescue boats in the early days of the disaster in Kerala refused to take animals, leaving behind hundreds of dogs and cats to fend for themselves, especially in areas such as Kochi, Kottayam and Alappuzha where the pet population is high. 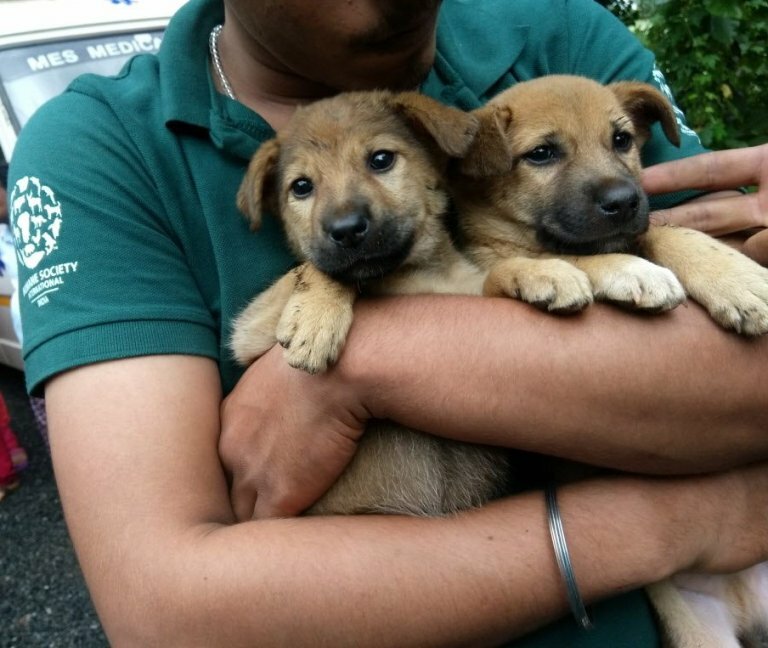 “People are desperately worried about their pets and our Kerala helpline is ringing day and night with pleas for animal rescue,” said Rahul Sehgal, HSI India’s senior director of Companion Animals & Engagement. Every day, teams of rescuers are wading waist-deep through leech-infested water to check the remains of dwellings for stranded animals, he said. “Many of the animals have now starved for several days so although they are traumatised, they are visibly relieved to hear a human voice,” Sehgal added. “There is still a huge rescue operation taking place, but once the water subsides we will start to reach animals who have been completely cut off, and we predict we will see large numbers needing treatment for skin disease, tick fever, distemper and thousands displaced on the streets,” he said. HSI India is working with a network of other Indian animal protection groups in each district across the state. Pet owners are using WhatsApp to send photos of their animals and the location of their near-submerged houses so that HSI India can get rescuers to the scene to save the stranded pets, a spokesperson said. Teams are being sent to Kerala and Coorg, which borders Kerala, to help cope with the scale of the rescue. 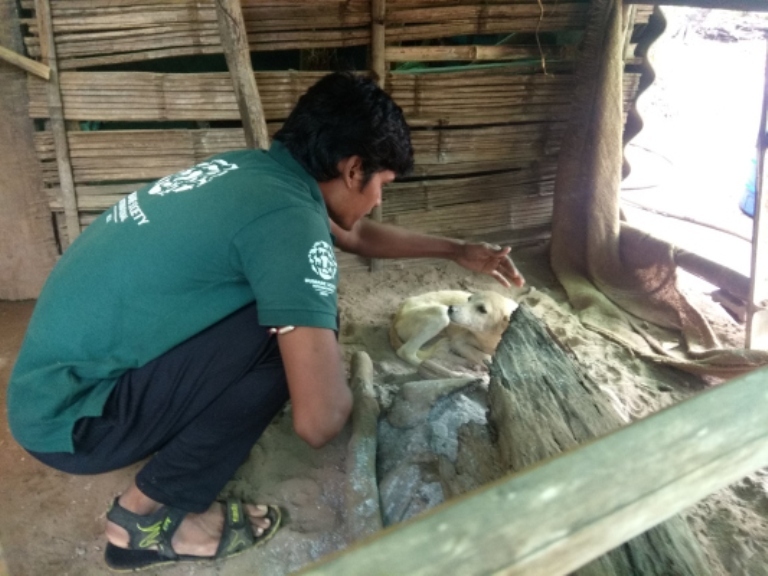 HSI India is working with local groups to reach as many animals as possible and also distributing vital life-saving equipment such as inflatable boats, veterinary medicines and food for starving animals. “We are urging Kerala’s humanitarian rescue teams to allow families to bring their pets, but if people are forced to leave them behind, they must be unchained or they risk drowning. We have a good chance of reuniting families with pets who run away, but a chained animal is doomed,” said Sehgal. 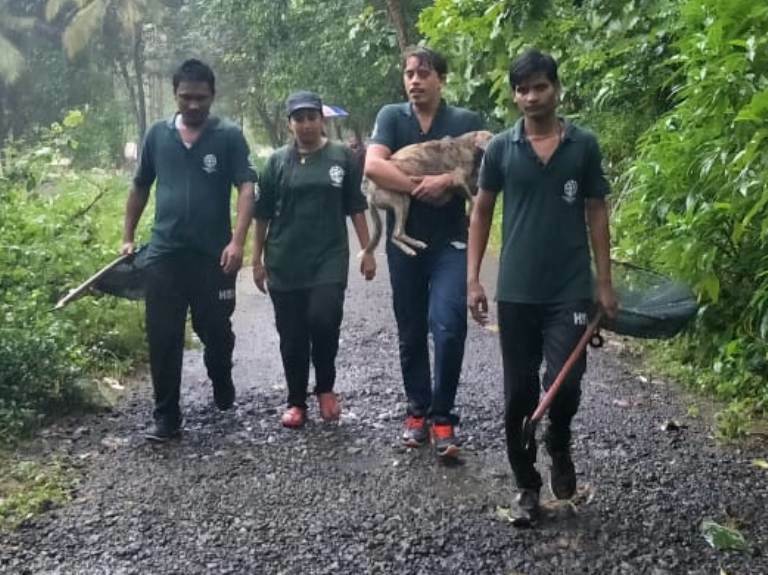 In addition, HSI is ensuring that animals in other parts of Kerala also receive help, by responding to hundreds of distress calls and Instagram posts and assigning them to local groups in the relevant areas. According to Sally Varma, HSI India’s education and awareness officer, reports have come in of vast numbers of animals drowning in the disaster. 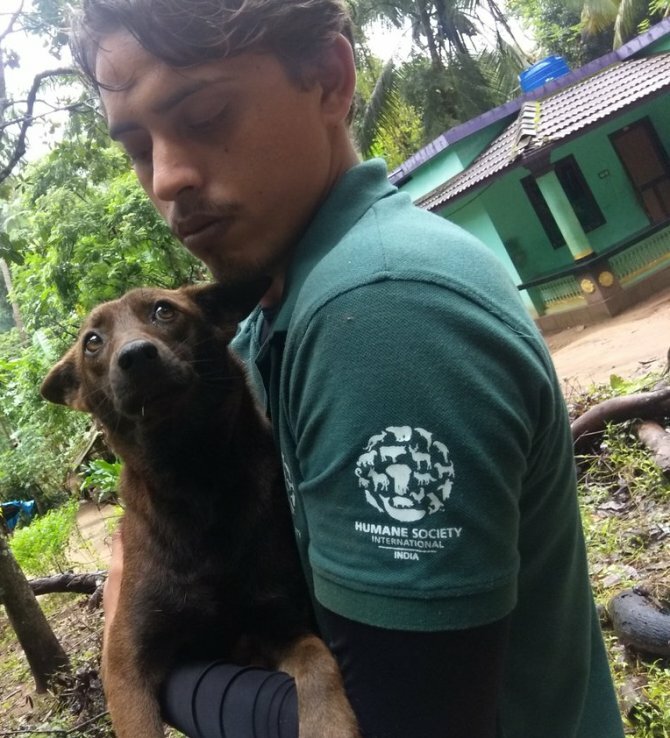 One woman in Thrissur refused to leave her home without help to rescue her 25 dogs, so HSI India’s team arranged for their shelter at a nearby veterinary hospital. While the waters are abating in some parts of Kerala, where more than 200 people have died and about 10 lakh people displaced, Coorg is also badly affected. Torrential rains in the district has left a trail of destruction and claimed at least 12 lives. CUPA has deployed animal rescuers and veterinarians to assist rescue efforts in the area. Animal rescuers are asking for relief materials such as dry food, medicines, bedding and dog crates to be sent to Kerala and as well as Coorg. Uttam's Take: 'Serious Calamity' or National Disaster?